We’re in the dog days of summer and that can only mean one thing: Eat Your City Restaurant Week is fast approaching! The week has become a popular and much anticipated event throughout Windsor-Essex and this year is no exception. Mezzo Ristorante & Lounge is once again participating in the event and wanted to give a sneak peek at one of their dishes while at the same time letting you try it out at home. Cream + Peas + Pasta = Delicious! 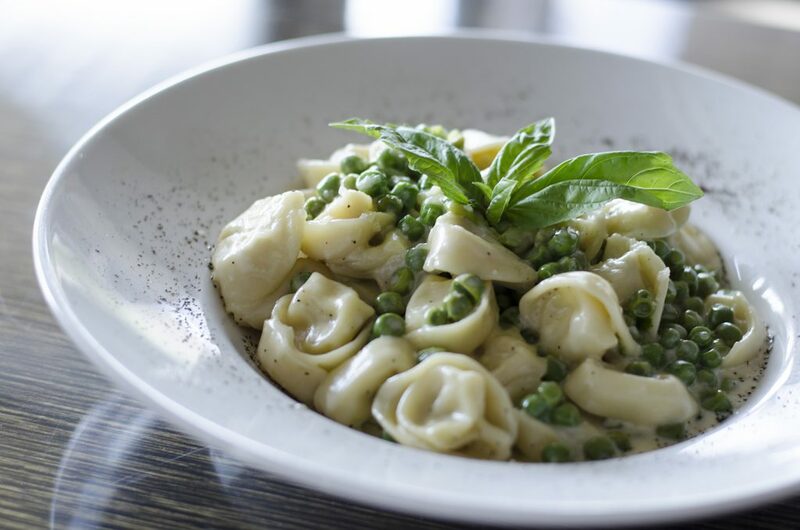 This Tortellini alla Panna con Piselli (Cream and Peas) should be fairly easy to make, taking no more than 30 minutes from prep to licking your plate. In a large skillet over medium heat melt butter, add the cream, stirring constantly until the cream is reduced in half. Add the peas to the cream sauce. Cook the tortellini until al dente (about 1 -2 less than the manufacturer’s directions). 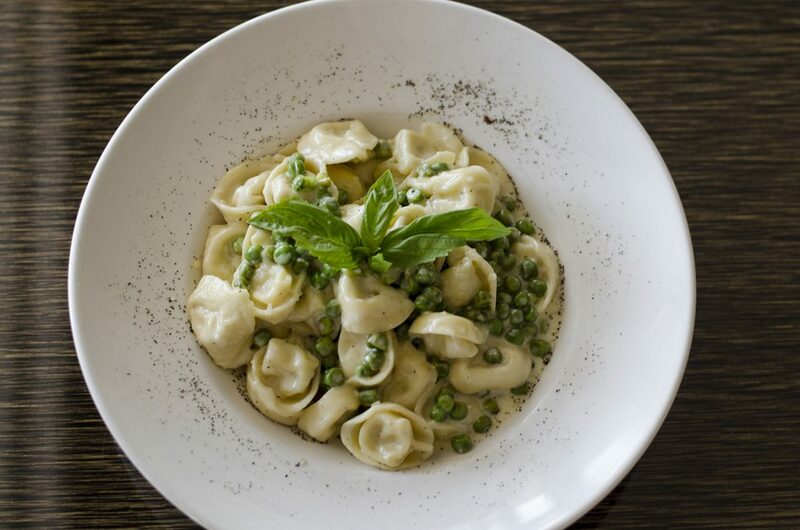 Reheat the cream mixture, and use a wire-mesh strainer to remove tortellini from the pot into skillet with cream and peas. Mix in the Asiago for one more minute. If the mixture seems too thick, add a tablespoon or two of the pasta water. Serve immediately. Sprinkle with pepper and additional Asiago if desired.